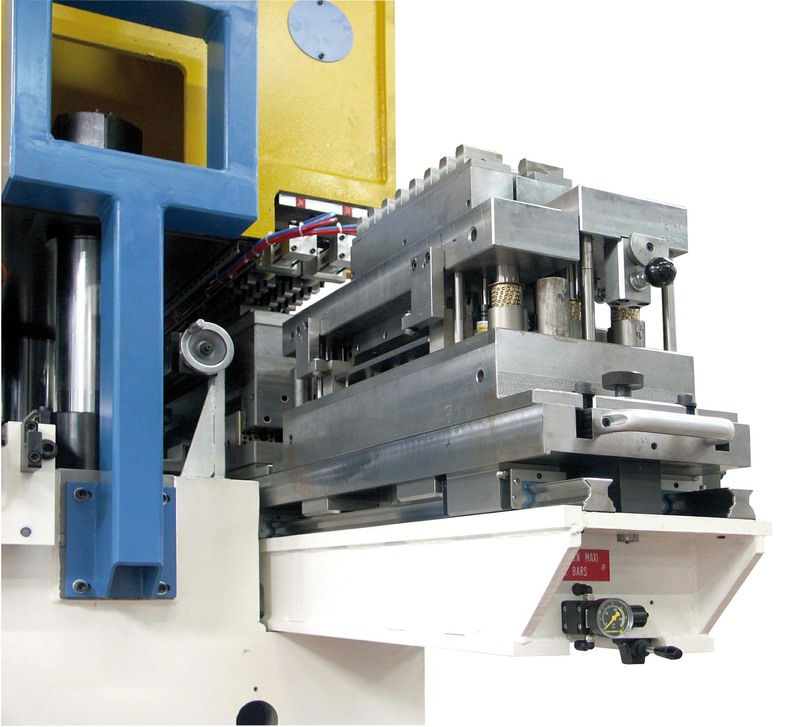 Flexipress is a flexible punching system using a mechanical press to provide high punching rate together with high tonnage capacity . 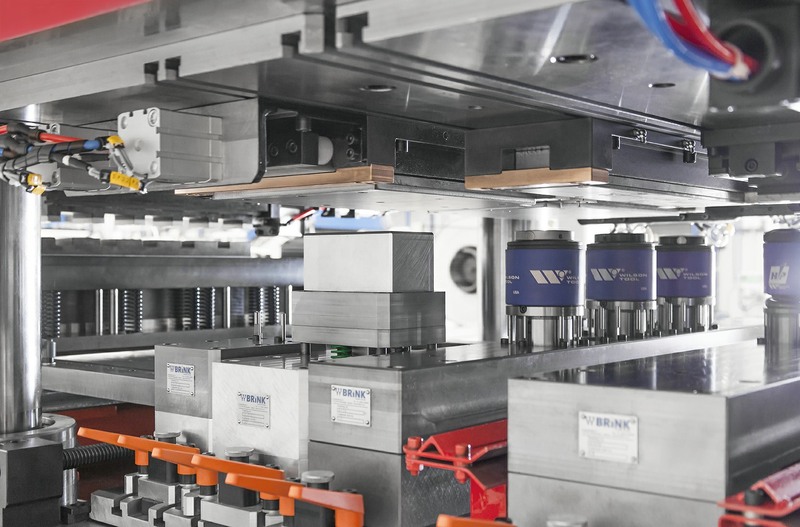 The “undercranked” construction( crankshaft below the table) allows getting large working area without need of unnecessary tonnage, then providing a compact design easy to install in a workshop. 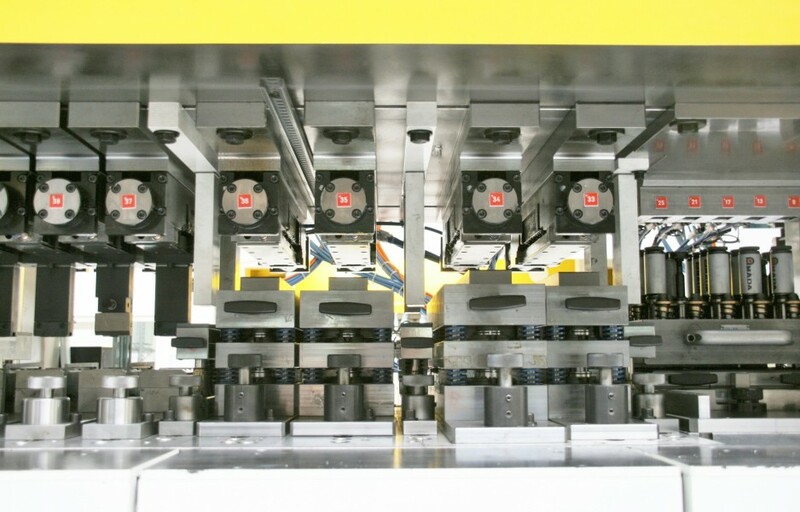 Concept allows off-centre efforts, so provides capacity to fit several die sets which can be individually driven according to NC program. 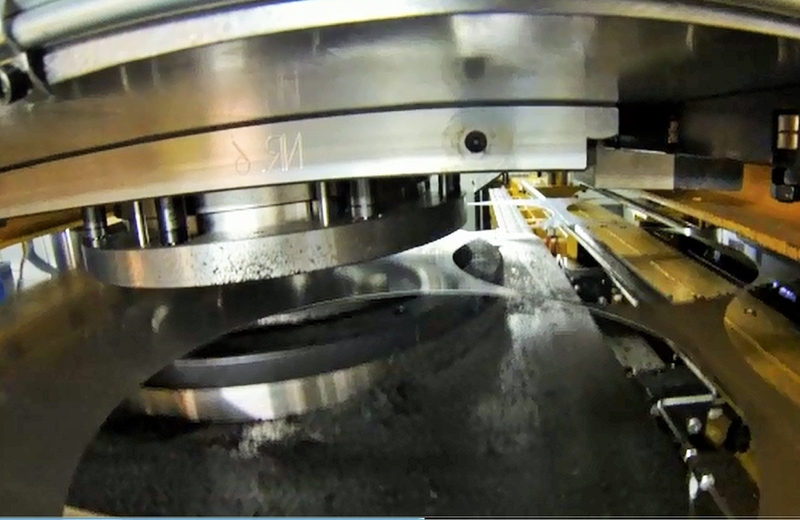 Using one same coil material. 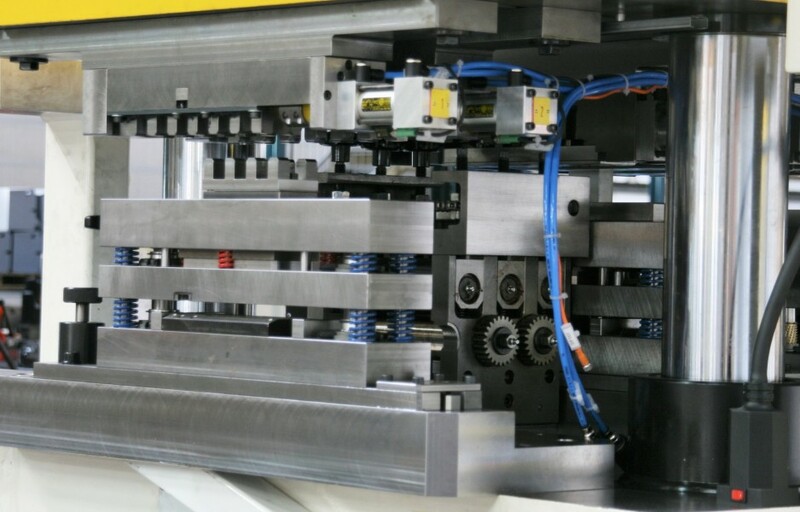 Sets of parts and small batches of different models can be achieved non-stop, optionally programmed straight from ERP. 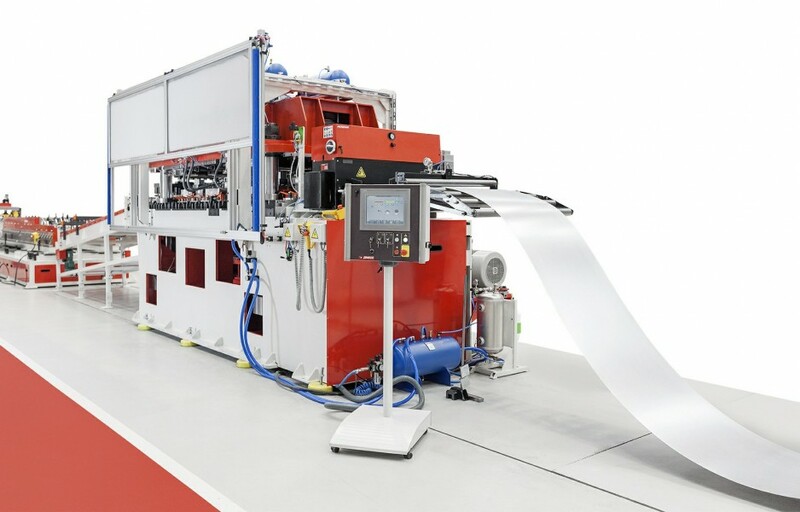 AC motor with pneumatic clutch or servo drive motor are available with Flexipress. 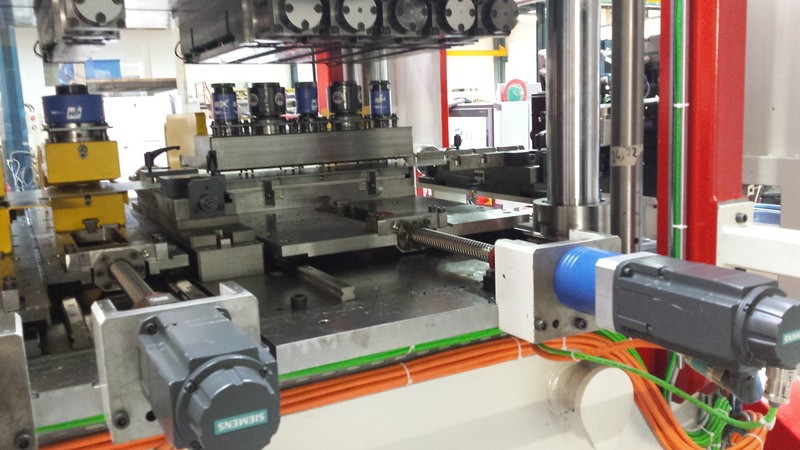 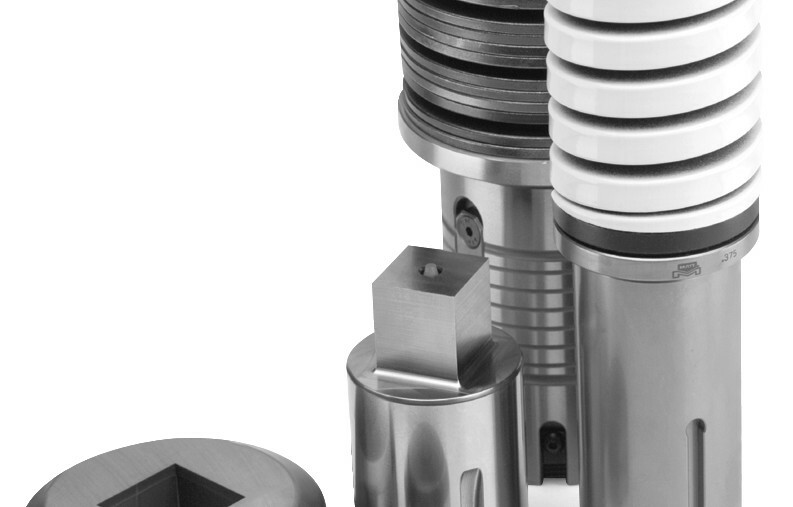 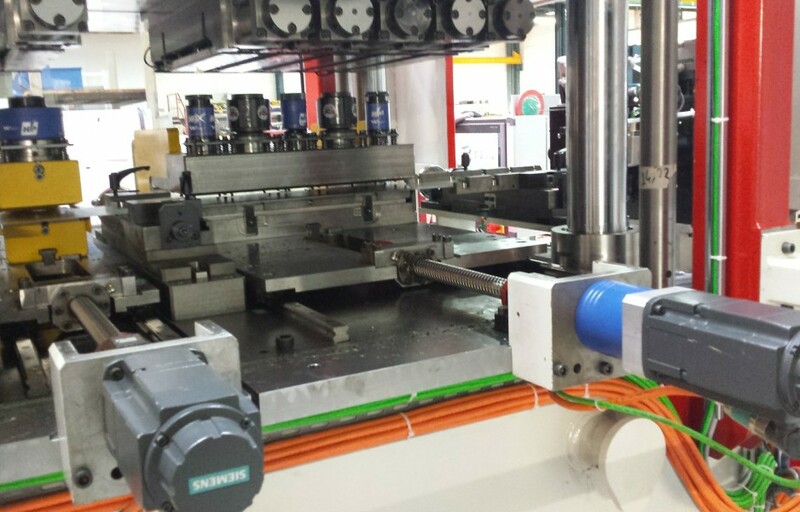 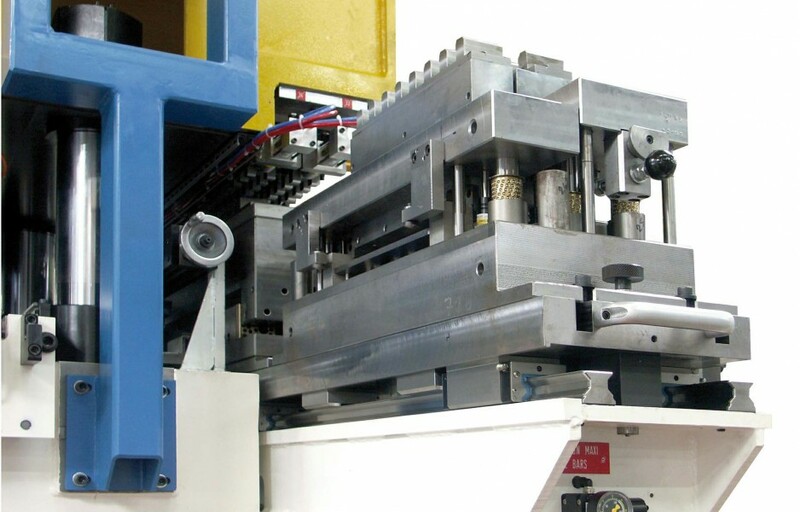 Flexipress can use standard thick turret tools and also specific die sets. 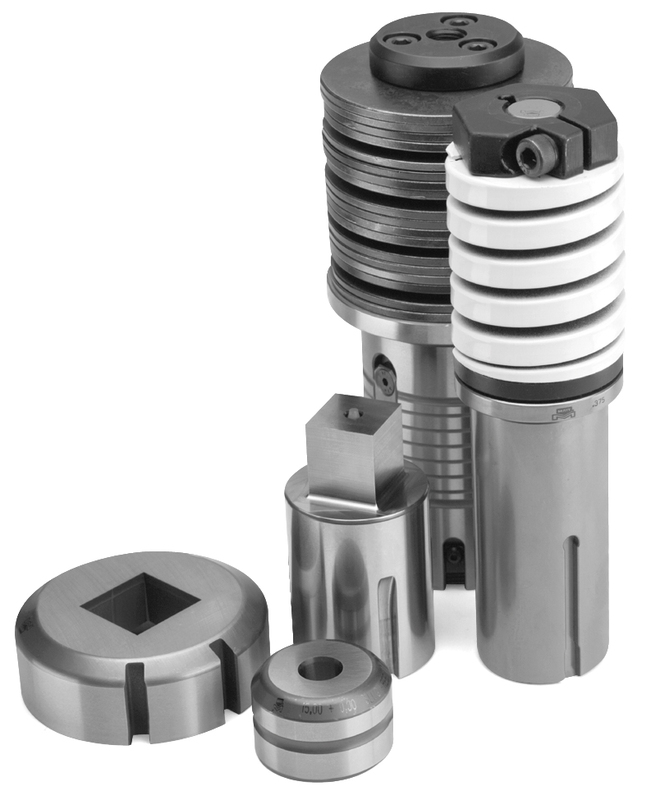 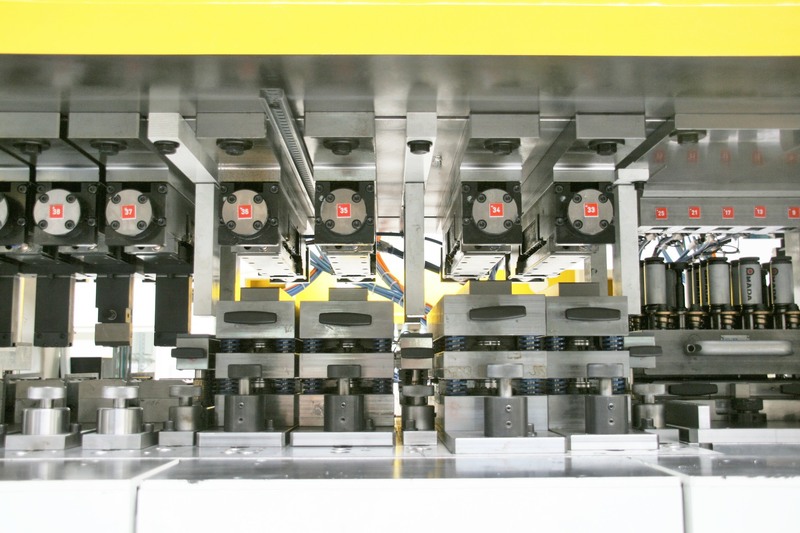 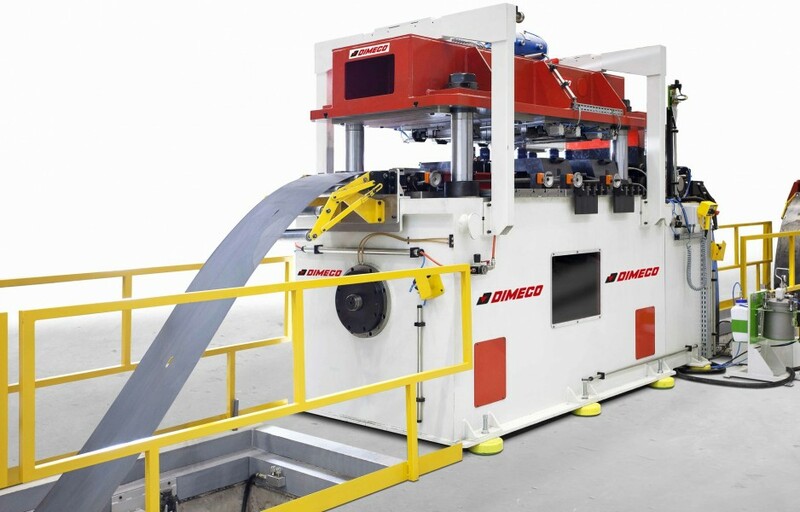 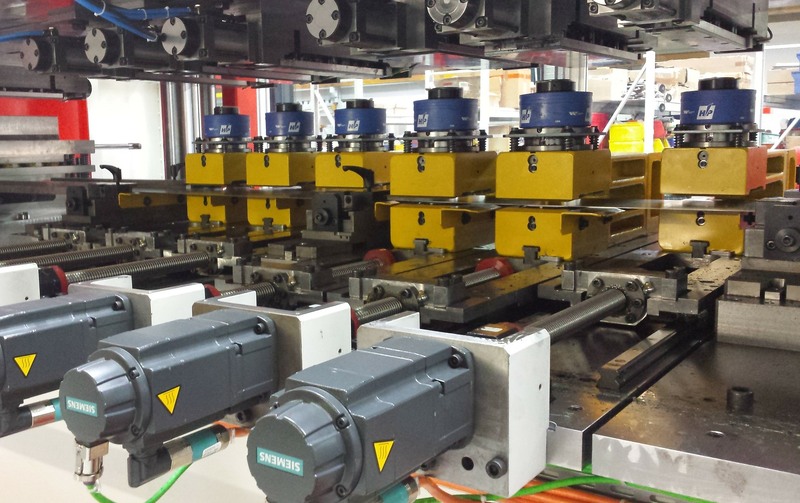 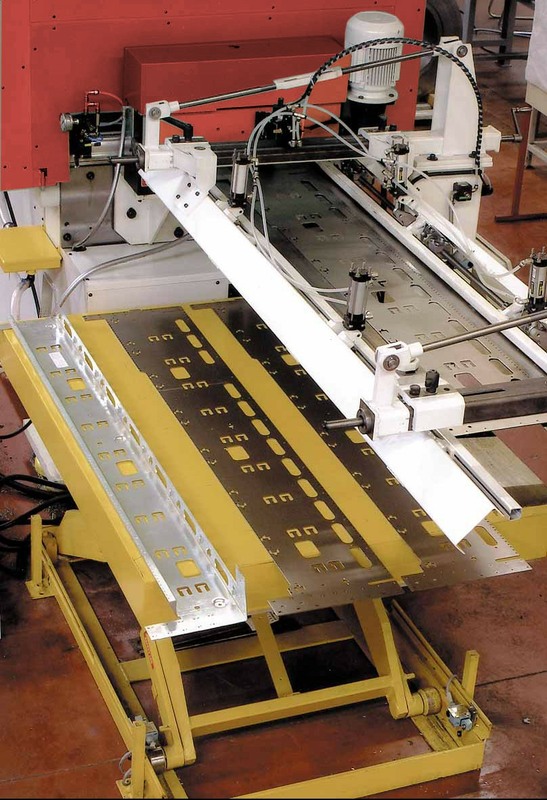 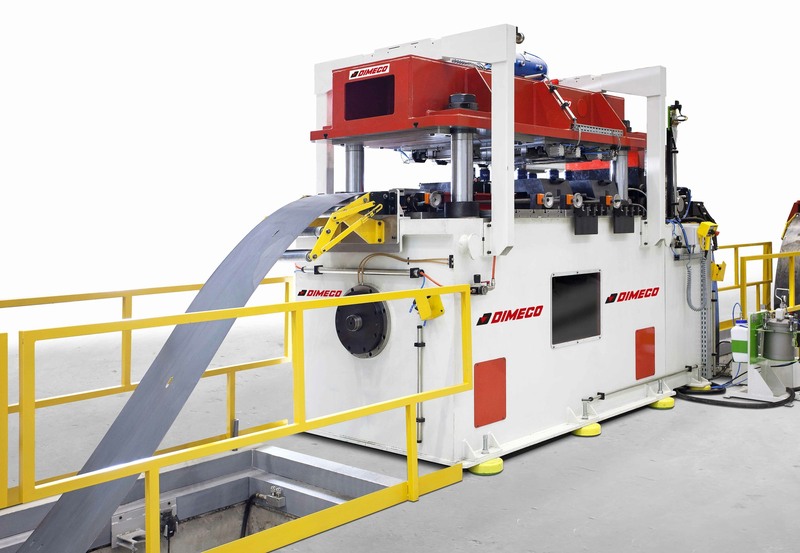 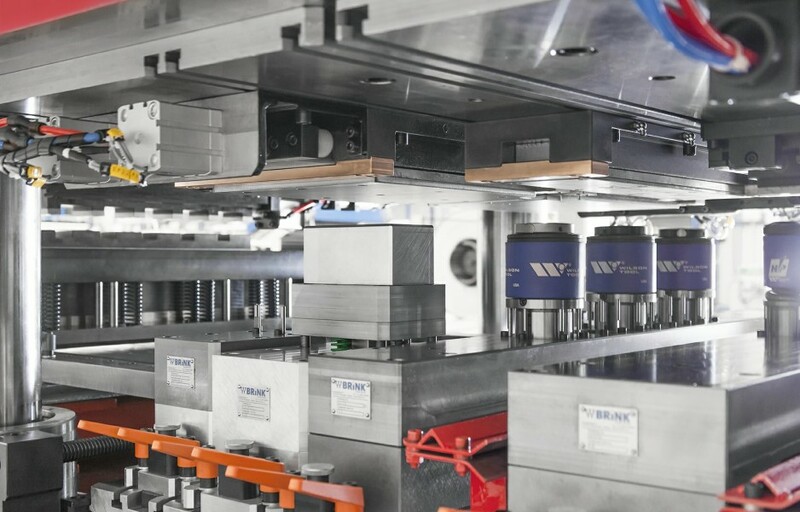 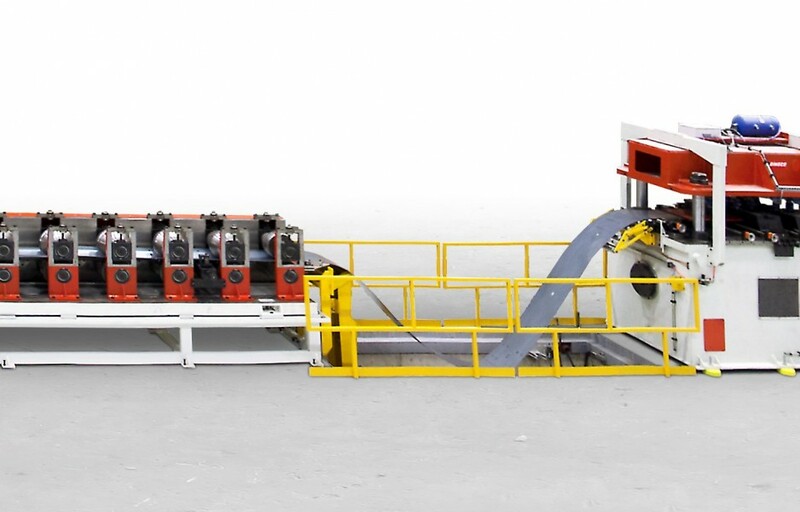 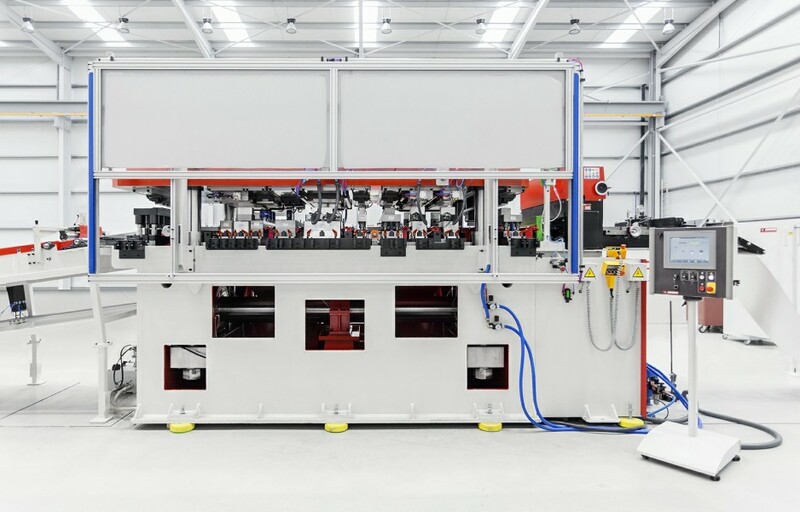 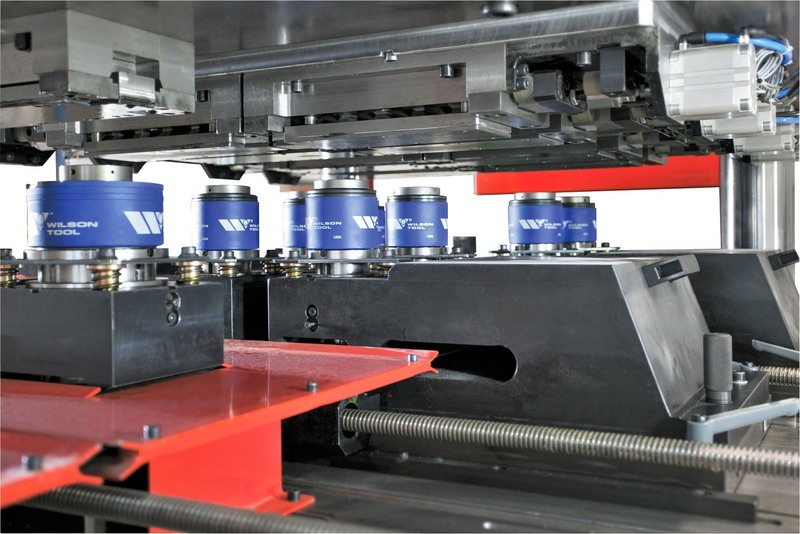 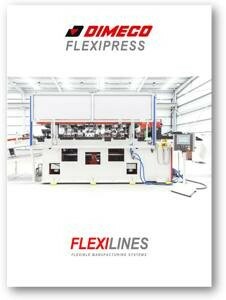 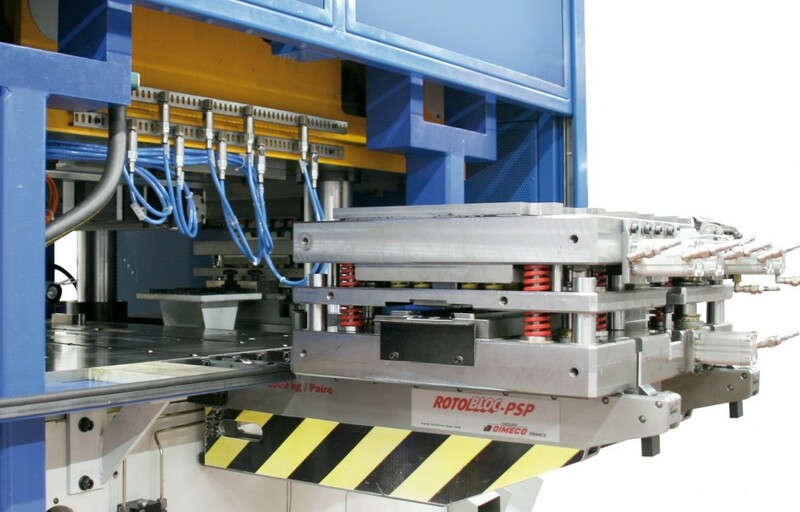 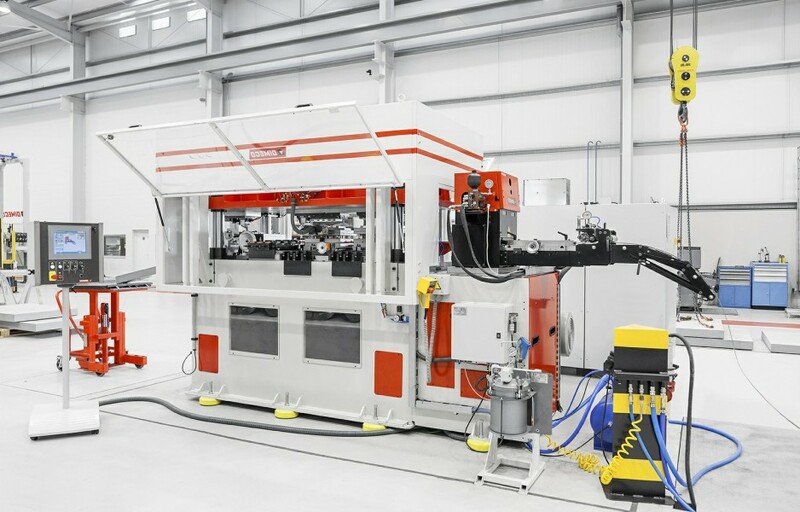 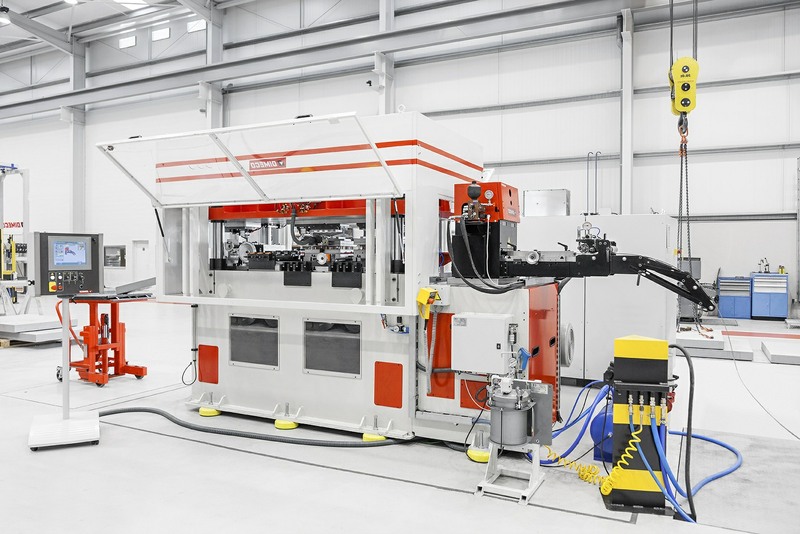 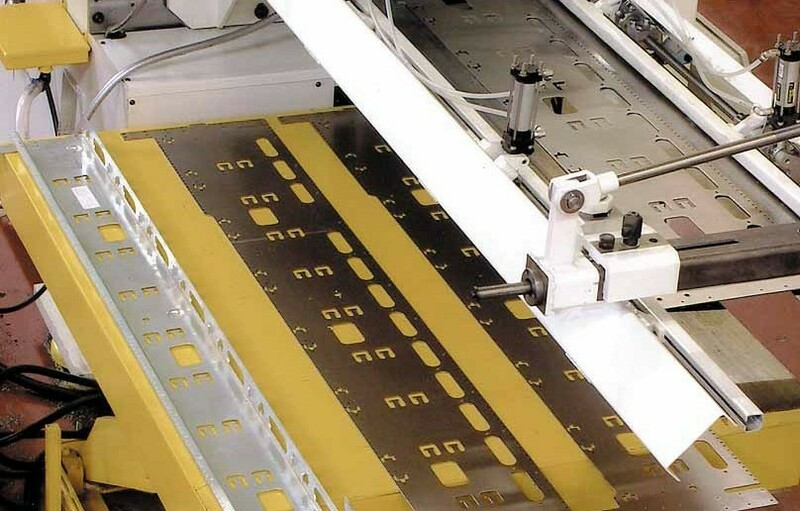 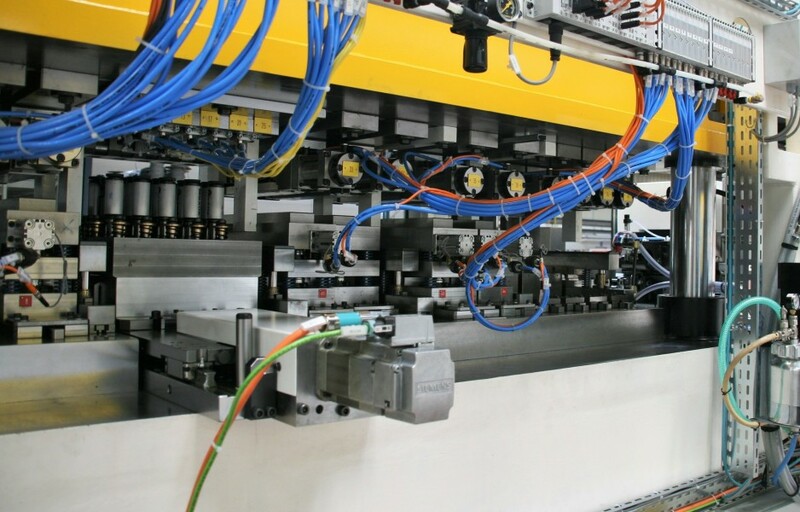 Flexipress is the ideal flexible punching solution to feed rollforming machines with prepunched strip. 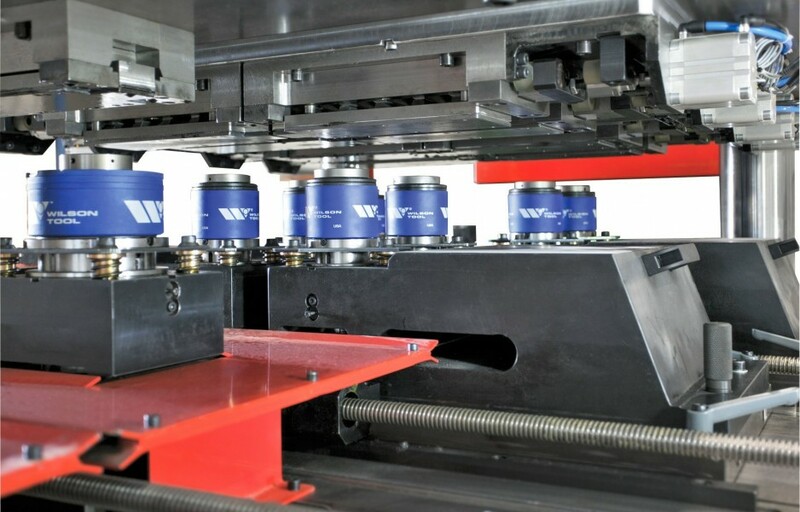 Ink jet marking or other marking solution can be integrated.